In the dark world of vampires and shape-shifters, there is a ray of hope. As The Dead walk the earth, the humans and human vampires of Oasis rally together to find a way to save their town. The Dead are playing an evil game with their lives. But who is their leader? Is it one of their own? Read The Dead Game and find out. A ray of light in a dark world. Fly high in the air and dare to dream. My mother had dementia before she died. She was blind most of her life. When she began to lose her memories, my heart broke for her. She became a person trapped in her own body with no colors or lights and little knowledge of who she is or was. It was a hard road for her. When she finally succumbed at the end, part of me was relieved that she was free and maybe in a better place with my father and brother. Was it wrong for me to feel a little relief that she was finally set free? Is she in a better place? Lay back, bask in the sunlight, and read a good book. Nothing is better. Slowly his mouth lowered onto hers, drawing her into a swirling miasma of unexpected feelings and desires. His mouth fully covering hers introduced her to a new realm of pure pleasure. His powerful form enveloped her, making her feel feelings that were foreign and untried for her. She couldn’t get enough of him. She tentatively began touching his face and then his body with an eager and unrelenting hunger. She didn’t know exactly what she needed, but she knew that she wanted and desired this beautiful man standing right before her. Her past life was washed completely out of her mind, never to be considered again. She begged him to take her with him tonight. In response, Wolf lifted her in his arms—as if she weighed nothing—and turned to leave the party. His beautiful face looked victorious and happy. His black eyes filled with passion. She hoped that it was because of her. Then he looked down into her small face and gave a hearty roar. While Wolf carried her in his powerful arms, a dark shadow swooped out of the house and flew directly at them. Linda was knocked out of his strong grasp, while Wolf was thrown across the patio. She looked up to see who had attacked them. It was Todd, his eyes a deadly shade of green, standing there panting. Then he was struck down by Wolf. 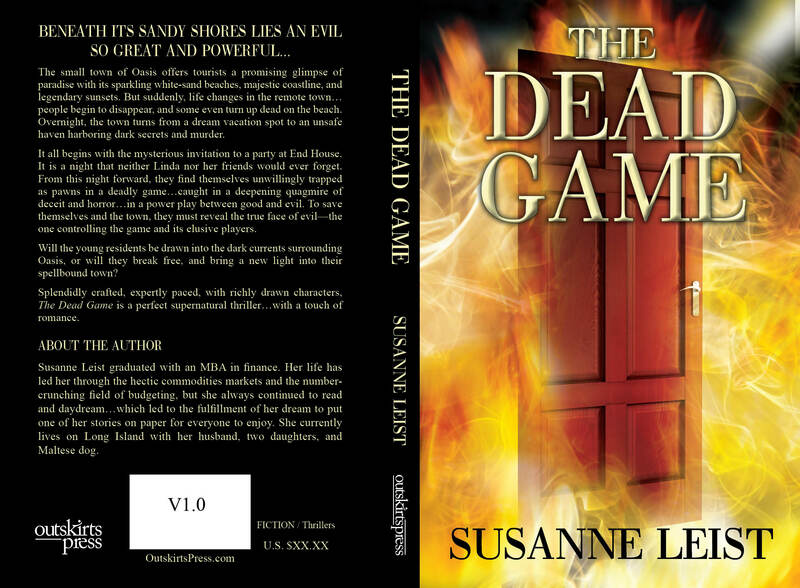 My first book, The Dead Game, is a mystery in the form of a supernatural thriller. It has all the elements of a typical murder mystery, complete with suspects and dead bodies, but it stretches your imagination beyond the proverbial box. In the coastal town of Oasis, where the weather is warm and beautiful, lies an undercurrent of evil ready to ensnare its innocent residents. Amid murders and disappearances, Linda and her friends must uncover the one who is controlling the deadly game and everyone else in town. What is hidden behind the stately closed doors of the remote town? Read and find out. I remember going to Marine Park in Brooklyn and playing with an egg box. An egg box can be a lot of things;even storage for your small toys.